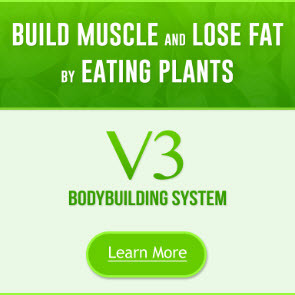 It is often said that you cannot be a successful bodybuilder and vegetarian. Well, I know lots of folk who build great physiques on a vegetarian diet, it just takes a little more consideration, especially in regard to protein quality. Now, here I am talking about proper vegetarians, i.e. lacto-ovo vegetarians, not those folk who eat tuna and still claim to eat a vegetarian diet! Generally, vegetable proteins are of poorer quality than animal proteins. Milk and egg proteins can be eaten, so you may still take advantage of HBV proteins. The key to obtaining good protein quality lies in combining different protein sources, as discussed in Chapter 3. Also, bear in mind that some amino acid capsules and other supplements may contain the animal protein gelatin in their manufacture, which strict vegetarians will wish to omit. True vegans will avoid all products of animal origin, so an adequate bodybuilding diet is really difficult. 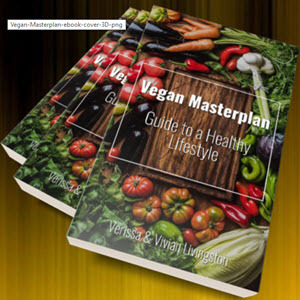 I have never come across a vegan bodybuilder, but in theory it is still possible, though a strict regimen will need to be followed, especially to ensure that a varied diet is still consumed. Remember also that many quality supplements are derived from animal products, for example creatine, whey protein, MRPs, so you will have to avoid these. If you are in doubt about any product, check with the manufacturer. As there are so many exclusions in the vegan diet, I strongly feel that isolated soya protein is an absolute must for the vegan bodybuilder. Other great protein sources which vegetarians and vegans can enjoy are mixed beans, baked beans, hummus, tofu, quorn, textured vegetable protein (TVP), soya, coconut, oat and rice milk, and many more. Often these products do have a reasonable carbohydrate content too, useful for gaining weight, and are low in fat. Vegans would be wise to include seaweed or a vitamin B12 supplement daily, as without animal products their diets may be insufficient in vitamin B12. Figure 4 : Example menu plan for a vegetarian wishing to gain quality weight. Again, remember both plans are merely a guide. Eat a variety of different protein sources, complex carbohydrates and fruit and vegetables every day, and plenty of water. If you are still not gaining sufficient weight, increase portion sizes of protein and carbohydrate foods; if you are starting to hold a little body fat, reduce portion sizes of carbohydrate foods slightly. A little bit of junk food now and again will do no harm.